My 2 year old Chihuahua, Sissy, has been doing some hard “hacking” the past couple of weeks. It seems like she has something stuck in her throat, like a hair ball, and she has a hard time hacking it up. Is this common for Chihuahua’s??? Even sometimes when she is eating, she does this. It seems to strain her cause her eyes tear up quite a bit when this happens. ?? Any advice about this would be greatly appreciated.?? I read your emails every day and appreciate what you do to help us keep our pets healthy.?? Is your book in print form? The first thing is to explain what is causing the hacking. A common cause in small breeds is a condition called tracheal collapse. In this condition the airway slightly collapses in on itself causing the chocking/gagging. This condition is best treated by feeding a liquidy food ( ie adding water) and increasing humidity in your house. Other possibilities include a throat infection, or an enalrged heart. If the coughing persists, I would advise a visit to your veterinarian. Thank you Dr. Jones for the advice. I will moisten up Sissy’s food and crank up the humidifier in the house. We will keep a close eye on her! Hi my boyfriend has a chihuahua/fox terrier mix. She has been coughing also like she has something stuck in her throat when she gets excited,but she has has been doing the last 8 months?? He had taken her to the vet, and they said, that it is common with these kind of dogs? but, she sometimes coughs for 3 mins at a time? and she seems like she is gasping for air? ?, I get get really scared and I do not believe a vet would say that that is normal? PLEASE HELP ? 2.5 yr. old chihuahua. I don’t know if he’s urinating too much. I use pee pads in the house and he has been going up to 6 or 7 times a day. Could this be just because it’s convenient for him? I don’t think he’s drinking excessive water. I have been breeding chihuahuas for over 25 years. This is their soft palate, which in chihuahuas is a li.ttle larger then most dogs.If it is really worrying you, put your finger over their nose, which will make them breath through their mouth and it will stop. It happens when they get excited or drink too fast. Christina: Psych Grandma and take this baby to the vet, it is ridiculous when humans deny animals the care of health. 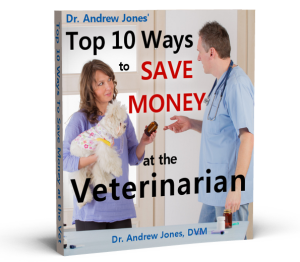 You care and you can make payment arrangements w/ the vet if this is about cost. While grandma is sleeping or is watching loads of TV (as this age group typically does) please take your baby chi to the vet NOW. It is not fair for your chi to suffer nor you and for you and your pet to be under this anxiety. Call the animal abuse on grandma, she’s ridiculous. Take care of your pet so that you will have peace because you obviously care. Sometimes you have to go above the head of idiots who know nothing about care. Grandma needs to chill , but you need to go over grandma’s head. seriously. What if someone did not want to take HER to the doctor? What is wrong with human beings. Pets are better than people. AT least the LOVE you back. So take care Christina b/c you must call the vet and ask what to do . Just call the vet and ask how to be directed in this situation. Please. my 1yr old Chihuahua does the whole coughing thing too,like she has a hacker stuck n it wont come up..its kinda scary and i dont really know what to do because she dont like her face touched for any reason at all. (this is going to sound weird or crazy lol) she has a thing for licking nosee,so like when she is coughing she stares at my man untill he picks her up and lets her lick his nose for a couple seconds and then she is all better..crazy n wired but true lol!! idk y it seems ta work..